The Secretary of State for Scotland Michael Moore has announced that he is to lead Scotland’s biggest trade mission of Scottish business to Brazil in late November. The visit will coincide with St Andrew’s Day on 30 November. The news comes on the day official figures showed Scottish exports continuing to grow by 1.1% in the last quarter. Scotland currently exports around £180m of goods to the country annually but the Minister wants to see more trade develop to help Scotland and the rest of the UK on the return to economic growth. The UK Government has recently announced its hope to double exports to Brazil by 2015. Michael Moore said making the most of new export markets is a key factor in getting the economy back to health and that Scotland is best placed to do so as part of the UK and its trade networks. The trade mission organised by the Scottish Council Development and Industry (SCDI), with funding support from UKTI and SDI, will visit Brasilia, Rio and Sao Paolo and allow companies from a wide range of Scottish sectors to showcase their services and establish links in a high-growth market which has become increasingly important to the global economy. Brazil offers huge opportunities for Scottish exporters and has a GDP growth greater than that of China or India. Latin America is set to represent 8 per cent of the global economy by 2020. The delegation will include sectors such as whisky and other food and drink, energy, education, healthcare, finance, engineering, high tech manufacturing and tourism. 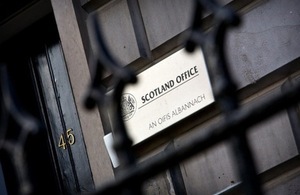 Michael Moore said: “I am delighted to be leading the largest delegation of Scottish business to visit Brazil so far. It is a key market for our exporters and we have the goods, services and skills which a country like Brazil needs at this point in its history. “We will miss no opportunity on this trip to promote Scotland across the board. Our key message will be that we are open for business with the Brazilian market and further across the globe. “This trade mission demonstrates the clear economic benefit to Scotland of its membership of the UK. ”Inspiring and enabling Scotland’s businesses to grow and trade internationally is a key priority for SCDI. “There are huge opportunities in Brazil for businesses in our core sectors of excellence including food and drink, education, finance, oil and gas, engineering and construction.